Arrington, Va. (March 24, 2010) - California Sidecar, the trike conversion, sidecar and motorcycle cargo trailer specialists known as CSC are proud to introduce The Custom. A bold and original combination of CSC’s Volusia Trike (for the Softail®) and a custom chopper trike, this innovative machine was born from a desire to build a dramatically different kind of trike. CHARLOTTE, N.C. – Iron Aces Speed Shop, Inc. marks its entrance into the Harley-Davidson aftermarket parts and accessories business March 15 by offering a 10% discount on all purchases thru April 15 for customers using promo code “GearUp2010”. Once again, the TaylorMade Racing’s team has created a totally unique clean style for your 2009/2010 Suzuki GSXR 1000. Combining high design with race proven engineering, the new S9 kit will blow you away with both looks and performance. Our underbelly muffler is dedicated to maximizing volume in the space available under the engine. 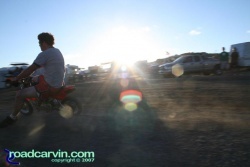 Our exhaust has a fantastic sound that will stir the soul without going overboard. The TaylorMade Racing 2009/2010 Suzuki GSXR 1000 kit is a slip on that eliminates the stock box and muffler, saving more than 20 pounds! The kit comes with both right and left side carbon fiber trim panels to blend the stock fairing into that aerodynamic MotoGP style. TaylorMade Racing’s carbon trim panels are 100% carbon fiber, with a natural lightweight race finish. On the dyno combined with a PowerCommander V, the performance is an additional 10hp at the peak and +8hp mid range, that’s a 10% increase in power midrange! The kit comes with detailed installation instructions and all mounting hardware. AMA Pro Racing and Vance & Hines have announced the launch of the AMA Pro Vance & Hines XR1200 Series. The series will feature spec-bikes with Vance & Hines race kits competing in a 5 race championship. 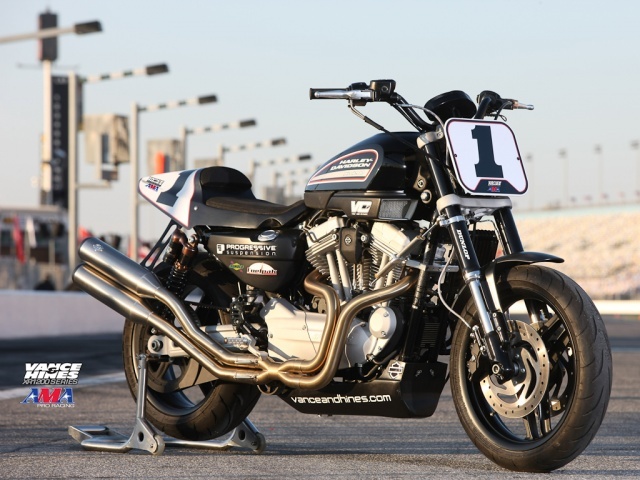 Harley-Davidson XR1200 with Vance & Hines race kit.